They didn’t really mean that, did they? The Legal Genealogist is probably more at home in those old statute books than most folks. I certainly poke around in them more than most folks do. But even I am occasionally taken aback. As I was last night, in preparing for some talks tomorrow (Saturday), at the Irish Family History Forum in Bethpage, New York, when I came across the exact language of one section of New York state law. It appears in Chapter VIII of the Revised Statutes of the State of New York, published in 1829. That chapter is entitled Of the Domestic Relations. Then it’s broken down into titles, and this is in Title I, Of Husband and Wife. And then you have articles, and this is in Article 3, Of Divorces, dissolving the Marriage Contract. And even I have to ask myself… they didn’t really mean that, did they? You see, there was one, and only one, ground for divorce in New York when that statute became law. Starting with the passage of the very first divorce law in the Empire State in 1787,2 and continuing all the way up to an amendment of the law in 1966, effective 1967,3 the single basis for granting a divorce was adultery. So… anybody whose spouse got a New York divorce until 1967 was convicted of adultery — and couldn’t remarry. That’s what the law said. But… but… but… did cheaters really not get to remarry? Well, um, yeah, actually. They really didn’t get to remarry. You see, the whole notion here was that divorce wasn’t something to be granted lightly, and that those who strayed shouldn’t be free to stray again. And for more than 100 years, that’s where New York law stood. 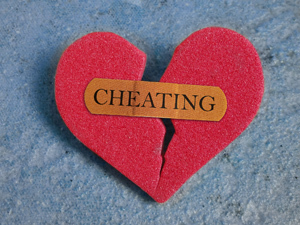 An adulterer couldn’t legally remarry in New York as long as the spouse he or she had cheated on was still living. And, yes, people did get around the law, both before and after 1879, by going out of New York to divorce and/or to remarry, which may of course explain why some New York ancestors went missing from New York at various times in their lives. So for genealogists, understanding this law can help put our ancestors’ actions into context. Chasing down circumstances of an ancestor with an 1804 felony conviction, I thought I had read of Civil Death ca. 1799 that among other things dissolved a marriage. In the statutes I did not find mention earlier than 1809 for felonies in general, and commencing in 1799 for those sentenced to life imprisonment. This, of course, led to wholesale fraud, where adultery wasn’t there but the parties wanted to divorce. The husband would rent a hotel room and a private detective would supply a young lady. She would partially disrobe, the detective would burst in, take a picture, and everyone would leave. There was a flip side which genealogists should also be aware of. Couples who wanted to avoid having to air their dirty linen in the public forum of a courtroom would often arrange for one spouse (usually the wife) to take up legal residence in a state with more liberal divorce laws (Nevada was a favorite) just long enough to become legally entitled to file for divorce as a resident of that state. As soon as the divorce became final, the plaintiff would then move back to NY, which would be required by the full faith and credit clause of the US Constitution to honor the other state’s judicial decree even though there had been no mention of adultery. Yep, connivance was common, and as noted folks left the state all the time at just the right time to get that divorce and/or remarriage. I wonder if this has something to do with why my paternal grandfather moved to New Jersey from New York at the time he and my grandmother separated. Very interesting. Thank you! Very likely the reason, Elizabeth! Good thinking! Not as stringent, but such laws were apparently in effect in West Virginia in 1929 when my ancestors divorced–she, the plaintiff, could not marry “within six months of the date of this degree” and he, the defendant, could not marry within three years, with the exception that they could remarry at any time. The evidence of adultery was a child. She never married again; he eventually married the mother of that child. This made me think of when I first started doing genealogy at a courthouse in Pennslyvania. They had all the usual, Deed, Marriage, Death, Orphan’s Court Documents. There was one though called “Lunatics and Drunkards.” I was very young at the time and The room at the courthouse was like a vault and many days I was the only one in there. I finally mustered the courage to ask the Prothonatory, “What is the Lunatics and Drunkards Docket for? She laughed and said it was the Divorce Docket as at one time these were the only reasons you could get a divorce!” I never checked to see if it was true, but seems that Adultry was not on the list. My husband said adultery was a rather prevalent pastime there. When I moved to this town (very small, rural Eastern town) having grown up in suburban California one of the first things I noticed was that there were as many bars as there were churches. And there were about 7 of each in a town of about 3,000. My apologies for boring you with my story. When my then-husband and I separated in 1978 in Wisconsin, he moved to Virginia with his, um, girlfriend, whom he planned to marry. A few months later, I moved within Wisconsin for a better job. At that point, Wisconsin allowed no-fault divorce but Virginia allowed divorce only for adultery. In both states, you had to have residence in the county for six months before you could file. Since he was the one committing adultery, he couldn’t file for divorce. So I waited six months and filed. Since we had no children or real property, it was a straightforward divorce. I found a lawyer who simply helped me fill out the required forms, and didn’t have to appear in court with me. He didn’t have to appear in court either. The judge was very sympathetic, though my heart stopped when she commented that “I could ask you the reason you want a divorce, but I won’t.” I’m guessing she had a pretty good idea, and was well aware of the grounds for divorce in Virginia. That’s an absolutely excellent use of that as indirect evidence, Johanna! Good for you! Source: “Bassenger Given Right to Remarry,” The (Syracuse) Post-Standard, 9 September 1947, p. 6 col. 8; image, Ancestry.com (http://interactive.ancestry.com/8130/NEWS-NY-PO_ST.1947_09_09_0001). Drat, you’re right — I keep forgetting how restrictive New York is. Years ago, I emailed the New York archive where my ancestor’s divorce SHOULD have been (I have the newspaper articles saying “don’t pay her bed and board because she ran off,” and the archivist explained the divorce law and said it was probable that he simply moved and remarried without the divorce — the archivist said it was common, given all the difficulties. Also, there is a book you might enjoy called “The Great Divorce” by Ilyon Woo, subtitled “A Nineteenth-Century Mother’s Extraordinary Fight Against Her Husband, The Shakers and Her Times.” Excellent book.